“We want the finest pies available to humanity, we want them here, and we want them now!” I announced, rocking back in my chair and slurping greedily from a pint of Bombardier as my feasting companions, embarrassed by my rapacious outburst, chuckled half-heartedly and stared at their laps. Meanwhile, Manson – the Pie Room’s Master of Ceremonies – looked upon me with disappointment, as one might regard a child prone to excitable tantrums. Ever the diplomat, he retorted with a gentlemanly “Of course, whatever you wish”. Some minutes later, before us lay a spread of the kind that makes a glutton fall weak at the knees. A burly steak and mushroom pie, its sturdy crust punctured with an eager knife to reveal the steaming, unctuous goodness within. Accompanying that in separate dishes, a log pile of chunky chips – crispy on the outside, fluffy in the middle – and a serving of fragrant mushy peas, the finest I have ever had. “Can I offer you some mustard, gentlemen?” Manson enquired, presenting a wooden tray adorned with delectable sinus-searing English and wholegrain French varieties. “Enjoy your meal, gentlemen,” he said with the faintest of bows, leaving us pigs to wallow in our feed. Heads went down, jaws began to chomp with feverish repetition; an occasional snort of satisfaction was flung from our trough into the chattering rumpus of the surrounding pen. The Windmill’s pies have been crowned ‘Best Pie in Britain’ three times and that really doesn’t surprise me. They are utterly glorious, bordering on fictitious; such is their legendary standing. The Windmill is known as the Institute of Pie Excellence, a title quite apt for the pages of a Terry Pratchett novel. Giles Coren took the words out of my pen by commenting that The Windmill is his “all time favourite pub – in the whole world”. The man has good taste. I have been coming here for years and I have never had a bad meal, a sullen evening or anything other than a bloody good jape. This is my local pub, and I don’t even live in Mayfair. It’s that kind of place; a friend to all who make its acquaintance. I even have a ‘usual’ table here. Having undergone a recent refurbishment, I am delighted to report that the owners, Carl and Pauline (who also run the similarly fabulous Guinea Grill around the corner on Bruton Place), have been sympathetic in its facelift and the venue hasn’t lost any of its old world charm. The carpet is new but traditional and the walls are pasted with cream patterned wallpaper and burgundy paint, festooned with charming vintage pictures to boot. This is a Young’s pub, and like most of their tenancies and lease-holdings, this is everything a British public house should be and the very antithesis of the modern, soulless, glass and chrome gastro-pub. For some reason, when I recall memories of The Windmill from the pixelated databanks of my mind, the Lawrence Llewelyn-Bowen in my brain always decorates it with wood panelling. In reality, the wood panelling is only to be found half-height downstairs, yet the pub has such a cosy, quirky and cosseting atmosphere that one remembers it as being entirely wood panelled. This is an oasis of old school comfort in the heart of Mayfair, and for those in the know, an indispensible location when ducking out of the rat race for a snifter and a hearty repast. 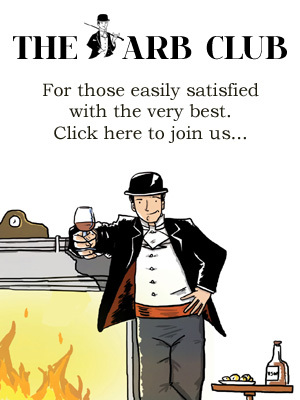 Patrons include the tailors of Savile Row, the art dealers of Bruton Street, the corporate fat cats of Berkeley Square and the occasional multi-millionaire from Morton’s who wonders over to sink a few jars somewhere that he can loosen his tie and catch up with the cricket scores. And, naturally, a rumbustious journalist or two. Good as they are, pies aren’t the only thing on the menu. Whether you pop in for a sausage and mash (or pie), fish and chips (or pie) and if you can manage it, a homemade rhubarb crumble (or, you guessed it, apple pie), one thing you are guaranteed is honest food and jovial service in a haunt where one can imagine Edwardian gentlemen plotting an expedition to unknown lands, the table strewn with maps and notes, pinned by glasses of cognac and stained by the occasional streak of gravy from the preceding pie-fest. I took my time to pen this review; years, in fact. I wasn’t ready to share The Windmill with the rest of the world, but it’s too good to keep a secret and, after all, it’s my job to elucidate these things to our readers. But before you go gallivanting over there with your expedition maps and demanding the finest pies and ales available to humanity, please take heed; this will become your local pub, no matter where in the world you live. Perhaps I’ll see you in there. Mine’s a Bombardier! Summary: the greatest pub, anywhere, ever. The Windmill, 6-8 Mill Street, Mayfair, London W1S 2AZ. Tel: 020 7491 8050. Website. Having shared many a pie-fest with the author at this most wonderful pie emporium over the years, I can only echo his thoughts and add my applause. Marvellous Manson adds a certain edge to the ambiance and like too few of his counterparts these days, knows just how much conversation he should inject into the delivery of his pies before retreating rapidly to a safe distance. Oh and it has to be English mustard, none of that wholegrain half measure! Bring on the pies, let’s feast!